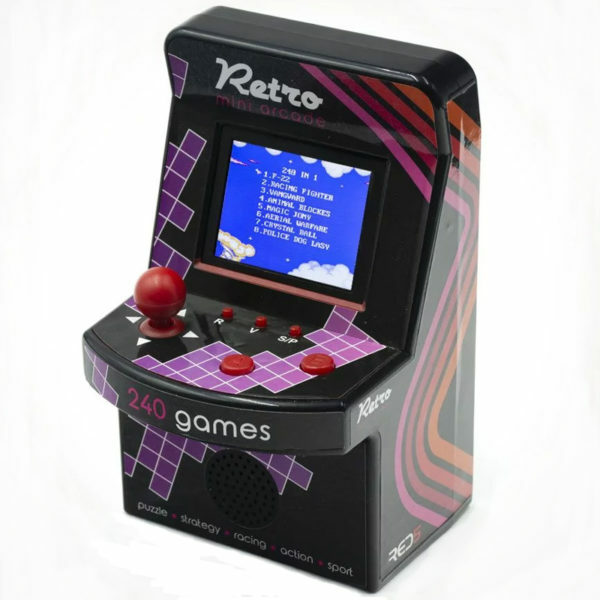 The Retro Arcade Machine is designed to look exactly like a classic arcade machine, however this one can sit on your desk! The arcade machine comes complete with over 200 games built in and includes the same classic, electronic sound effects that you know and love. Featuring a full colour 2.5 inch screen, a joystick, two power buttons, start and reset and volume buttons.